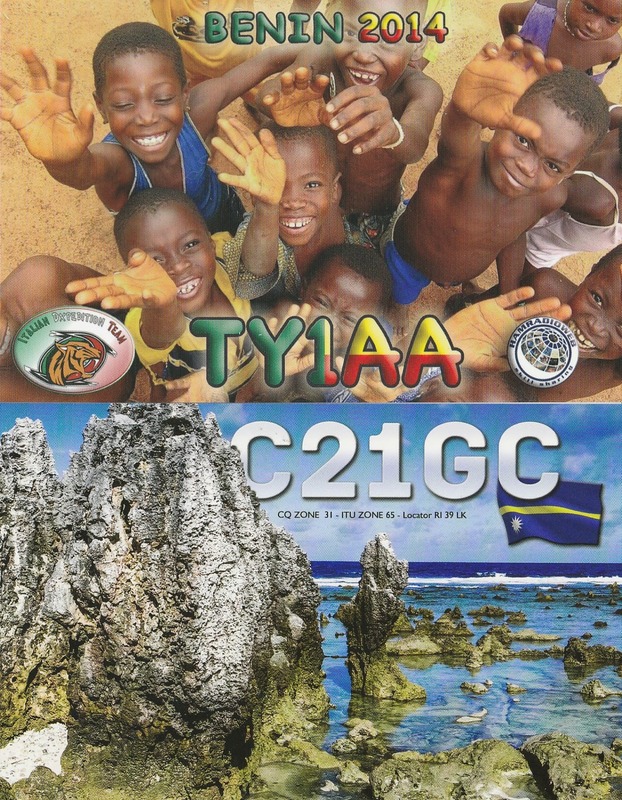 TY1AA :11 QSO'S, 10 to 40 Mtr, 3 Modes. New one on Rtty. C21GC: 5 QSO'S 15-20-30-40 cw 15Rtty. great show from LZ1GC. V63JYR on 20 mtr Rtty,its JR1JYR Ken on tour, New one on RTTY. Worked some qso's also in ARRL DX CONTEST SSB.